Pic2shop PRO is a user-configurable version of pic2shop. It is the most economical way to build a barcode scanner app for your business. 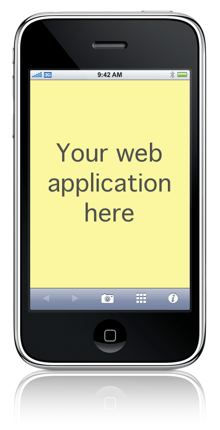 Implement the functionality you need as a web application. Then configure the URLs of your web application in pic2shop PRO: one for the app launch, one for barcode scans. Finally, use pic2shop PRO to scan barcodes, transmit the code to your server, and interact with the results. Pic2shop PRO (like pic2shop) reads EAN-13 and UPC-A barcodes (the ones found on virtually all retail packages and books). The app can be configured for many users, by sending them a specially formatted link. Each user can be identified by including an extra parameter in the URLs. Please note that we do not provide the hosting service nor the web application. You are responsible for developing the web application and hosting it on your own server. Pic2shop PRO will replace the strings "EAN" or "UPC" with the barcode digits. We look forward to the creative uses you will make of pic2shop PRO. Do not hesitate to drop us a line at support@pic2shop.com to tell us about it.